The Islamic Council of Victoria’s Vice-President Junaid Cheema wrote in the Guardian today of the Prime Minister’s visit to the ICV earlier this week. He found the PM’s rather unremarkable acknowledgement of Muslim contribution to Australia “surreal”, a sentiment he projects onto Muslims in Australia generally, who, apparently, were also “gutted” and “flattened” by Tony Abbott’s remark last year about Muslim leaders needing to mean what they say. Muslims in Australia, by and large, are nowhere near this invested in either the carrots dangled in front of them or the sticks waved at them by political leaders. They see, indeed, they feel, the sour reality of these leaders tangibly and consistently enough to be thus tricked. The argument posited here is that Malcolm Turnbull is better than Tony Abbott so we should embrace him with open arms. But what makes Tony Abbott the standard to measure by? Is it not rather superficial to make some random low the standard whereby to make someone else look good? Tony Abbott was not the beginning of anything. Unless our political memory fails us, we would recall that many a sweet-talking PM came before him. Kevin Rudd spent years speaking with the tone and style of Turnbull. The difference between a Turnbull or Rudd and an Abbott (or Obama and Bush) is merely style. What is constant is the policy. The slightest reflection over the last decade shows a remarkable consistency in government policy towards the Muslim community from Howard, through Rudd, Gilliard and Abbott and now Turnbull. It is these actions and policies that need to be ignored, in favour of mere rhetoric, for a positive case to be made for the PM. It was not rhetoric, Junaid protests, because “the PM showed a deep understanding of Islamic civilisation and history”. He recalled the greatness of Islam and the phenomenal achievements of past Caliphates. The same Islam and Caliphate his government is fully invested in preventing in the Muslim world. The same Islam he wants to be secularised and reformed. He welcomed Muslims into the (mythic) “Australian family”…except for Oliver Bridgeman who he’s left stranded in Syria as a punishment for trying to feed and clothe the beleaguered people of Syria. And except, of course, for all the Muslim asylum seekers that come here only to treated as sub-human. Which part of the family are they? The examples, of which our brothers and sisters at the ICV are no doubt well aware, are too many to list. It is truly saddening to read about Muslims “spellbound” at acknowledgement of the obvious, “yearning” for acceptance from their own oppressors, beside themselves at any crumbs thrown their way. The intentions are no doubt sound, even admirable, but the internalisation of dominant ideas and discourse has a crippling effect, negating the ability for (what our deen demands of) independent thought and audacious action. What the community needs is an independent agenda carved out on our terms, in our language, true to our deen. Circling (corrupt) power and counting on its change of heart is a recipe for failure, one that has been tried over and over by Muslims in Australia and in the UK and US. As a community, we must learn from those lessons and, to use the Prophetic parable, not be bitten from the same hole twice. 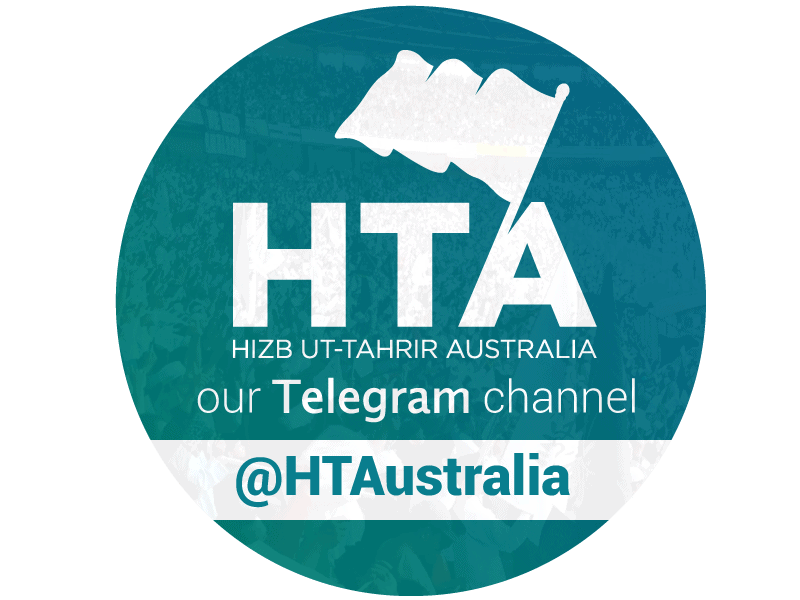 Uthman Badar is the media representative of Hizb ut-Tahrir Australia.